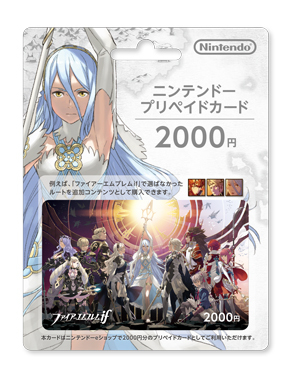 Amazon Japan is giving out a special bonus with reservations of the Fire Emblem If New 3DS cover plates. 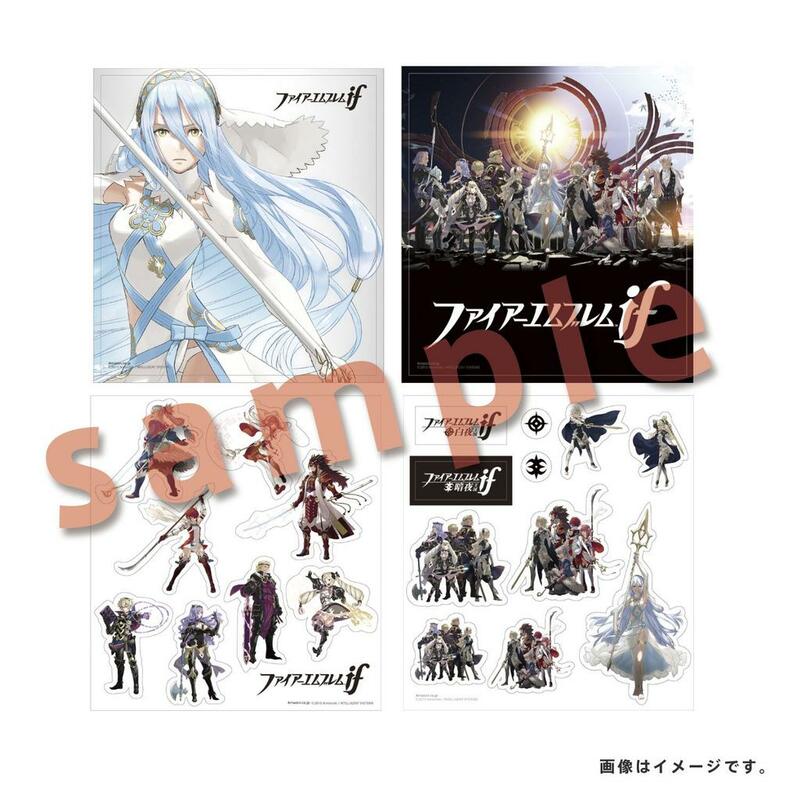 By pre-ordering the accessory, consumers will be provided with an exclusive sticker set. You can take a look at the different stickers above. 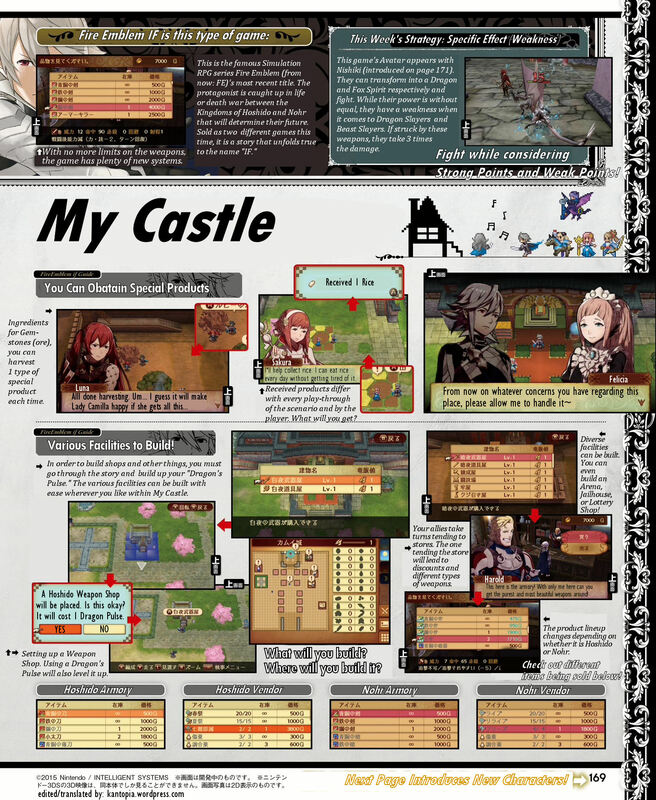 kantopia has once again translated the latest Fire Emblem If scans from Famitsu. Hit the gallery below for the full set. 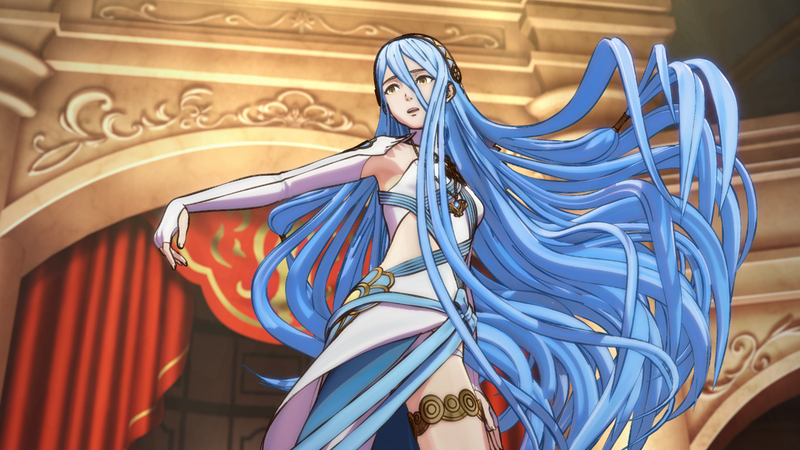 Last night, Nintendo uploaded a new Fire Emblem If introduction video to its YouTube channel. “shadowofchaos725” has now come up with a complete translation, which you can watch below. You can also view the new commercial with English subtitles. 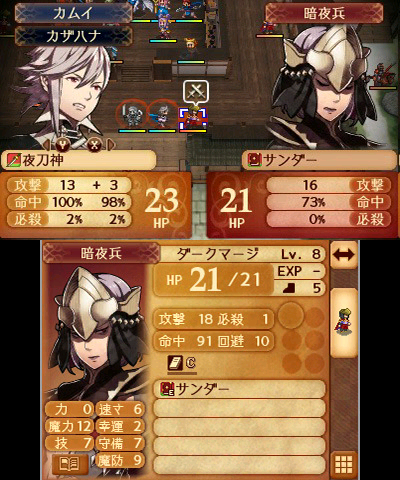 Two new videos have come in for Fire Emblem If. An introduction, plus a commercial, can be seen below. 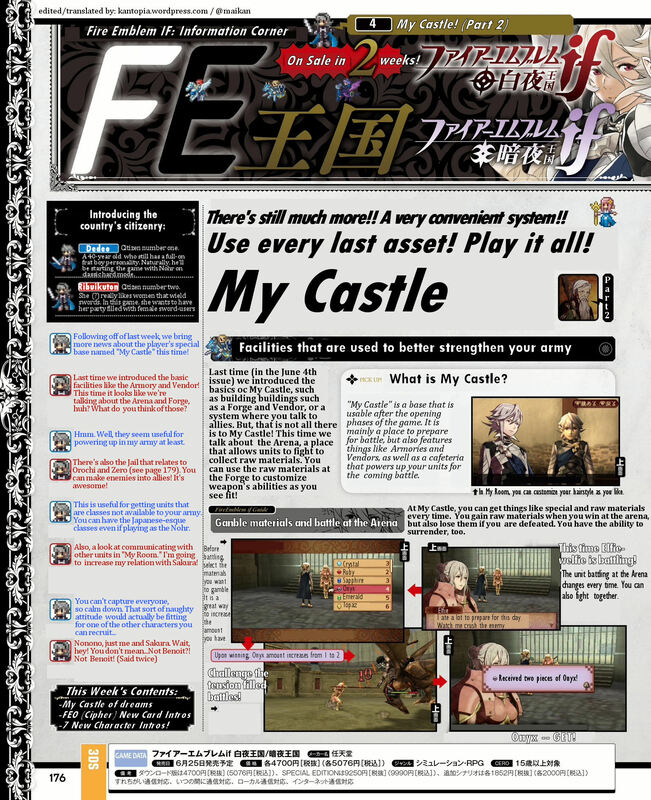 This week’s Famitsu has yet another feature on Fire Emblem If. 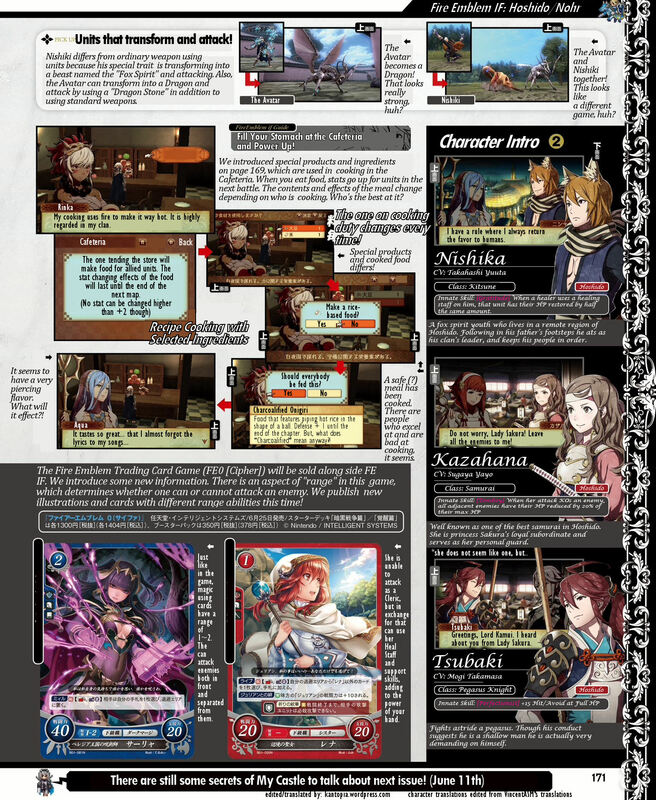 We’re introduced to more characters, along with details about some other aspects of the game. – Personal Skill [Blood Boil]: When equipped with a forged weapon whose name is written with 8 kanji, critical rate +10. 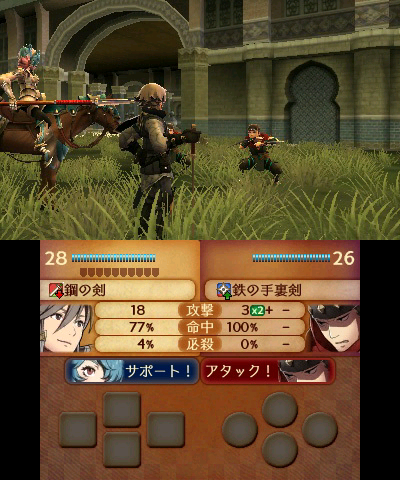 Three new Fire Emblem If screenshots have been discovered on the game’s Japanese 3DS eShop page. 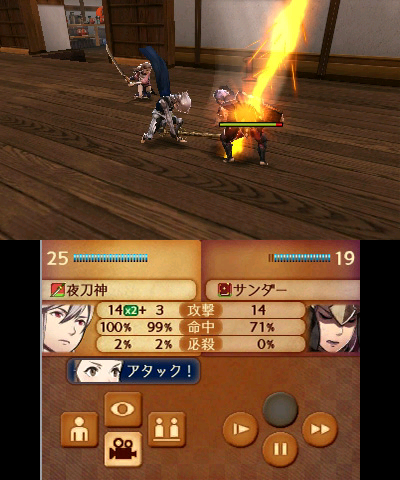 In the first two images, we see the Avatar and Kazahana teaming up to defeat a Nohrian Dark Mage. 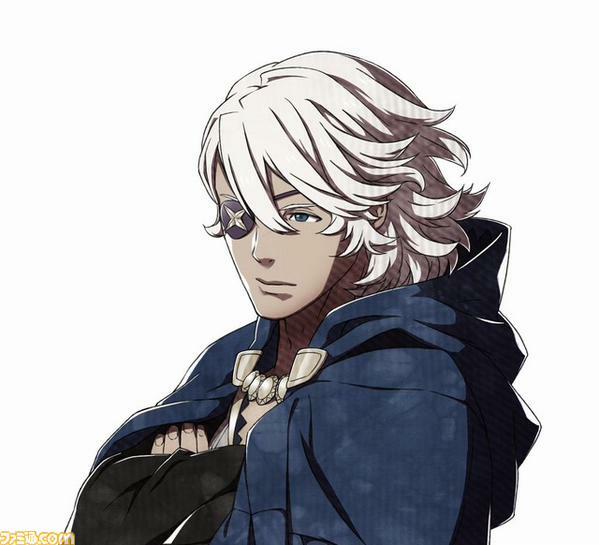 The third has an Inigo lookalike teaming up with what seems to be a female Cavalier in order to tackle a Ninja. 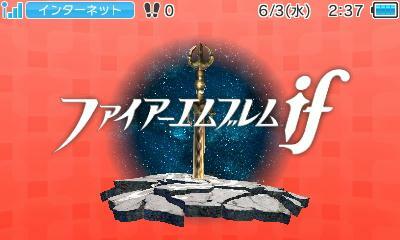 View the three screenshots in the gallery below (along with what it looks like on the 3DS home menu). 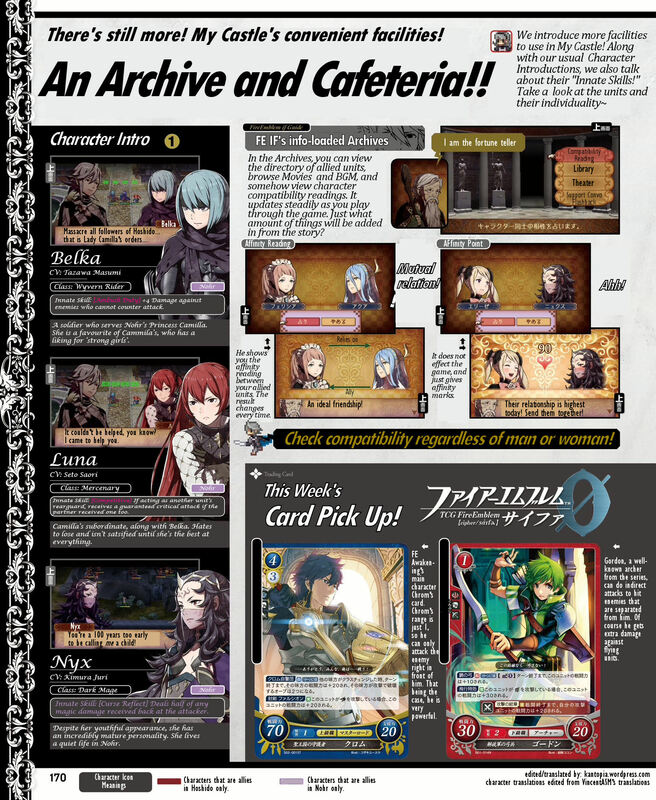 Above, you can see the Fire Emblem If pre-paid eShop card. 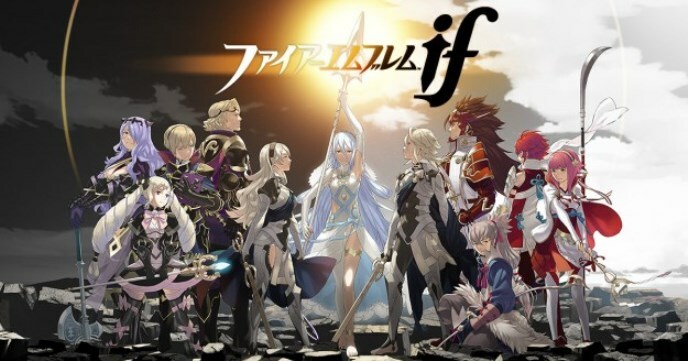 The much anticipated next game in the Fire Emblem series launches in Japan on June 25 . 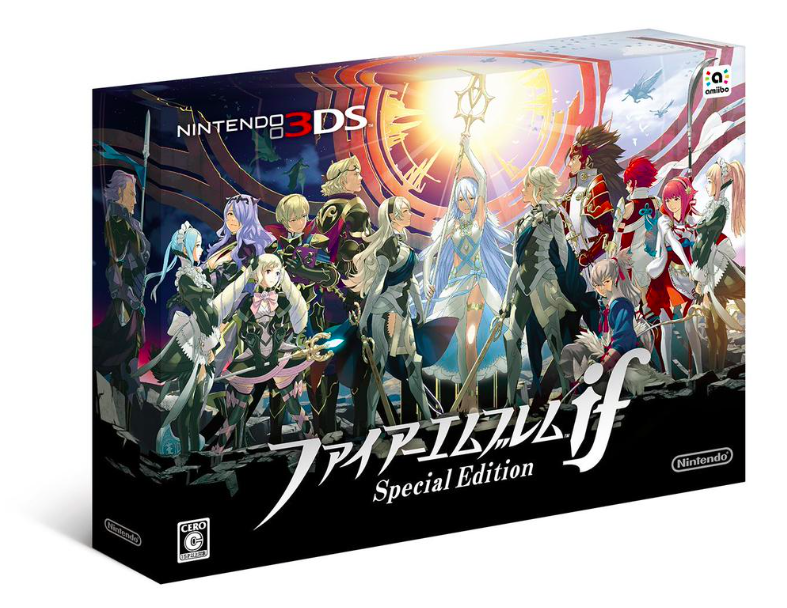 Fire Emblem if will come with a Special Edition, which the boxart and packaging can be seen in the image above. 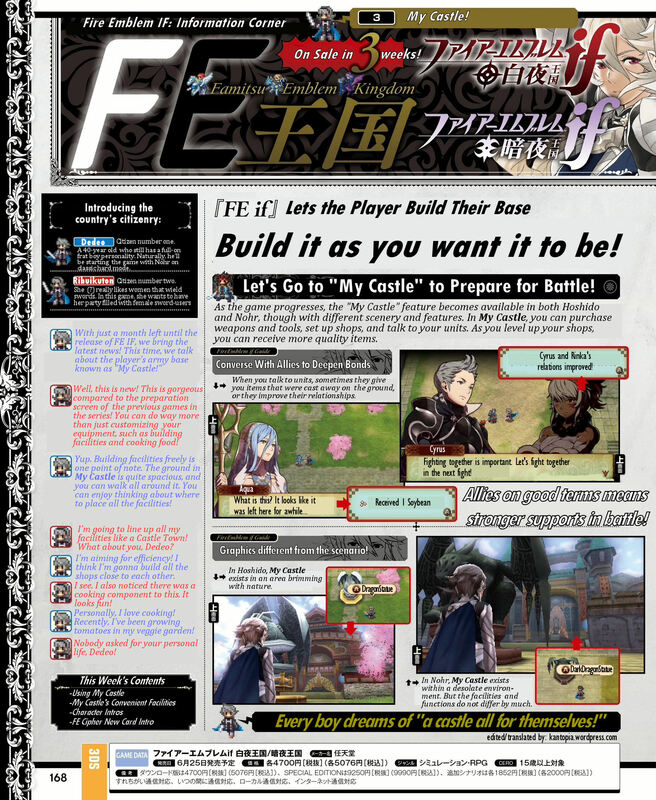 This week’s issue of Famitsu is revealing a new round of characters in Fire Emblem If. You can get a look at them above, and details about each is posted below. Expect more information about the game over the next few days. – She is a favourite of Camilla who has a liking for “powerful girls”. 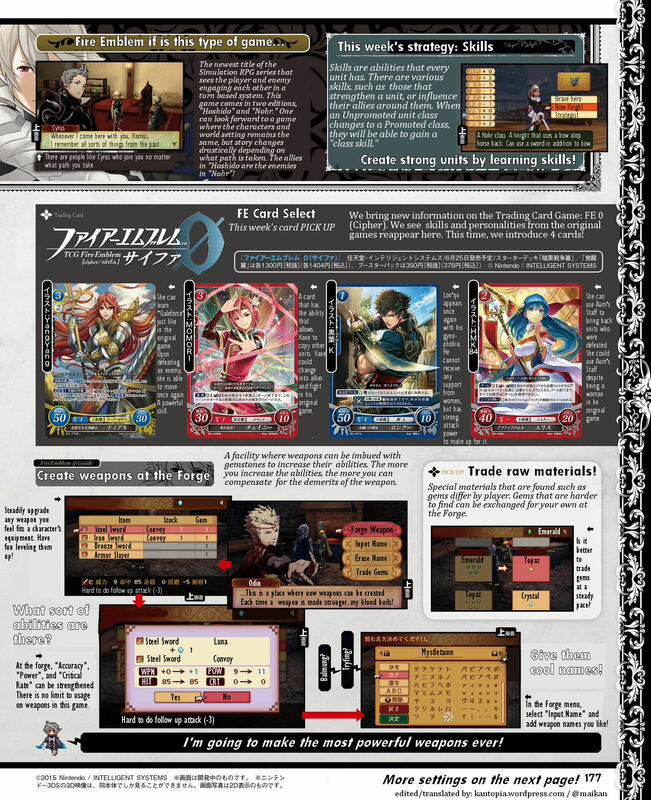 The official Japanese Fire Emblem if website was recently updated after the Nintendo Direct last Sunday. You can find an English translation of the “System” page over on Kantopia . 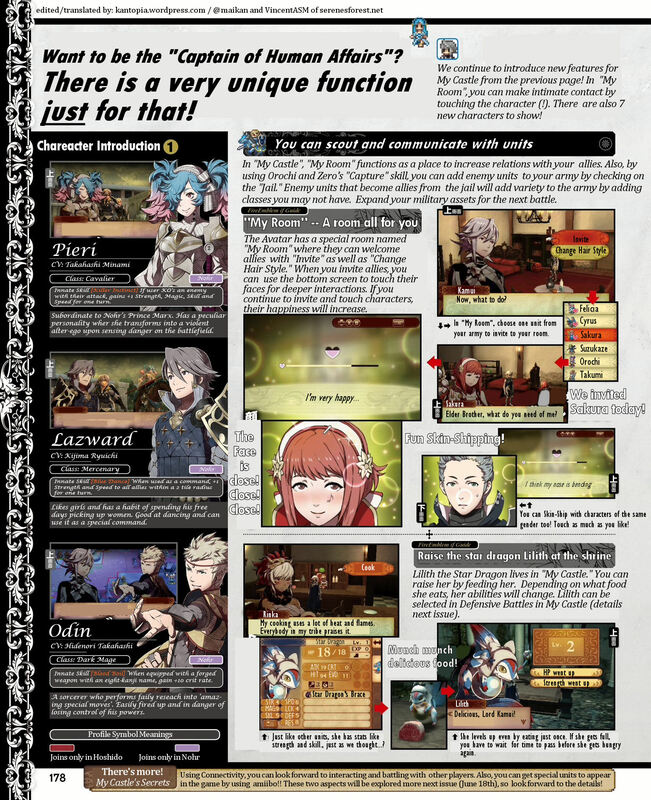 It’s mostly general information about the game that doesn’t offer many new infos to Fire Emblem veterans and those who have been keeping up to date with Fire Emblem if news, however there are two interesting new tidbits: Phoenix Mode, which revives fallen character each turn, can only be selected on Normal difficulty. 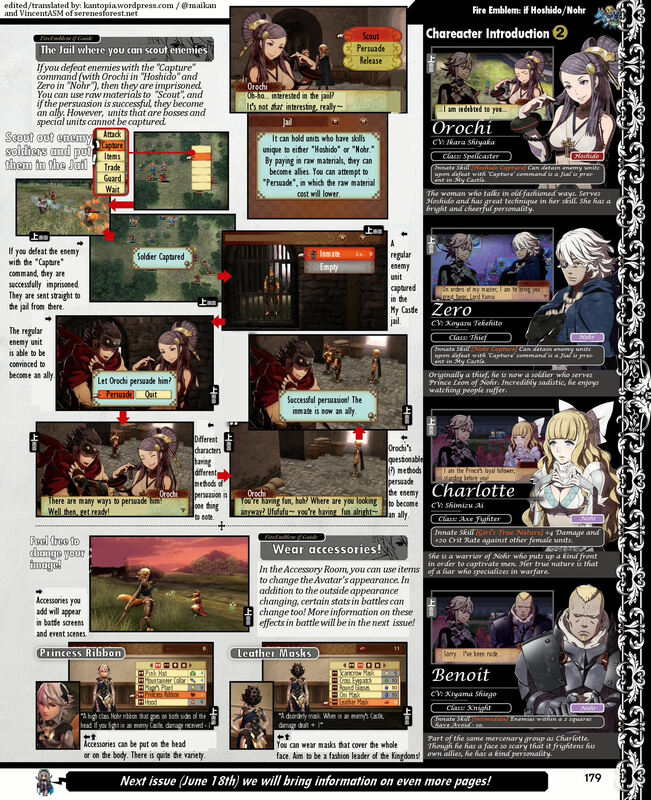 There’s also new info about Attack Stance and Guard Stance, this game’s evolution of Fire Emblem Awakening’s Pair Up system. 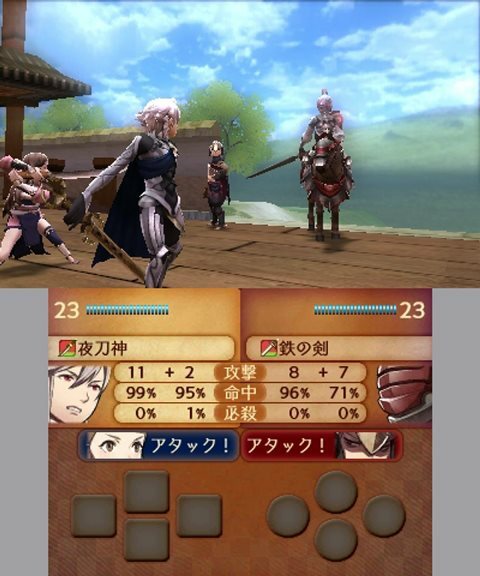 In Fire Emblem if, Attack Stance will also be available to enemy units, however if your units are using Guard Stance, the enemy’s Attack Stance is negated.